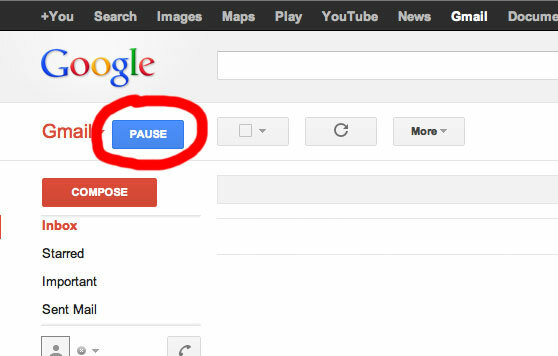 Inbox Pause is a plugin for Gmail that stops the flow of incoming messages at the click of a button. The plugin was created for individuals who receive large volumes of inbound mail and who need, on occasion, to take a break. Inbox Pause was created by Baydin, the Mountain View, California-based maker of the Boomerang email productivity plugin.